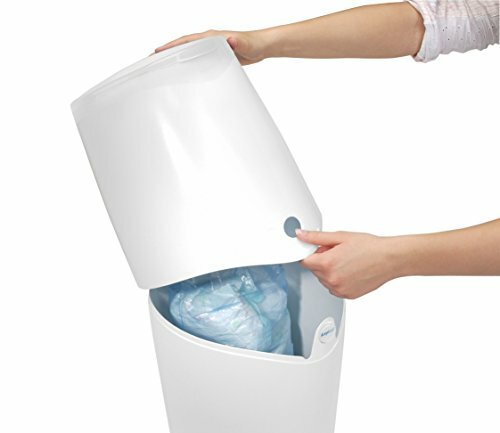 The Angelcare Nappy Disposal System is a convenient and hygienic way of disposing of dirty nappies. 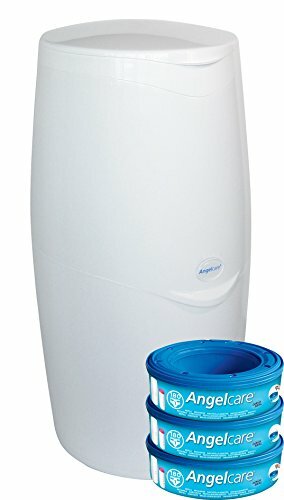 Featuring Air-Seal technology designed to keep bad smells at bay, this simple-to-use system makes for a happier, more fragrant home. Each Angelcare refill cassette includes multi-layered barrier bags that keep bad smells at bay. 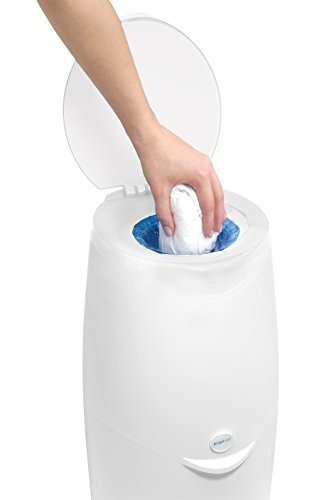 The cassette only works with UK and Ireland version of the Angelcare Nappy Disposal System. 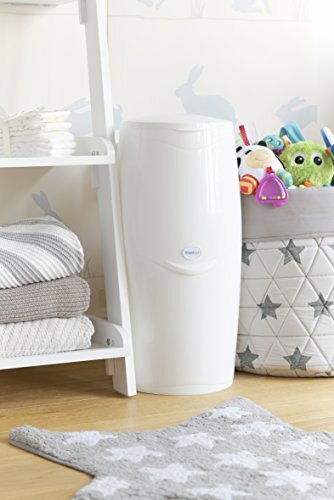 It is easy to use with one hand and has a capacity of approximately 28 nappies (size 2). 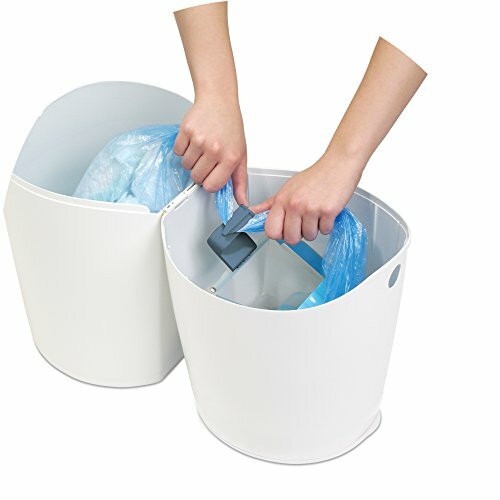 Each refill cassette will last up to 1 month and seals up to 180 nappies, depending on size. It uses less plastic (in weight) than other competitive systems, making it cost effective. 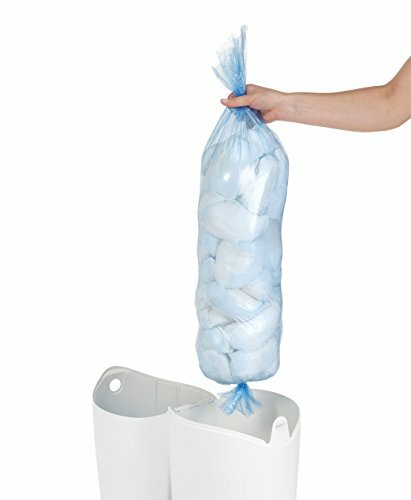 This set contains 3 refill cassettes for the Angelcare Nappy Disposal System. Angelcare, sistema di smaltimento pannolini, blu out of 5 based on ratings.